The speech delivered by President Barack Obama to a joint session of Congress Thursday night was billed as the presentation of a new government initiative to confront the worst unemployment crisis since the Great Depression of the 1930s. Instead, it underscored yet again the unwillingness and inability of the US financial elite and its two major parties to implement a single meaningful measure to aid the 25 million Americans who are unable to find full time work. The “American Jobs Act” trumpeted by Obama from the podium of the House of Representatives represents a laundry list of right-wing proposals, all of which he justified as having been supported by Republicans, sections of big business or the US Chamber of Commerce. While hailed by his Democratic supporters as the return of a new combative Obama, his phony populist demagogy about the need for immediate action and commitment to ensuring that every American received a “fair shake” stood in stark contrast to the actual content of the policies advanced in the speech. All the proposals, moreover, will be paid for by even deeper attacks on core social programs such as Medicare, Medicaid and Social Security. The speech came on the same day that the US Department of Labor released weekly unemployment figures showing that the number of people filing new unemployment claims had risen by 2,000 again to a seasonally adjusted 414,000. Even more telling was the most recent four-week average of new filings for unemployment benefits, which rose by 3,750 to 414,750. This follows the report that in August, zero net jobs were added to the economy. It is estimated that 11.2 million jobs would have to be created to reach the employment levels that existed before the meltdown of the capitalist financial system three years ago. Current conditions are catastrophic for the unemployed, with nearly five jobless workers chasing every new job opening. Meanwhile, the wave of budget cutting carried out by Democratic and Republican administrations alike on the federal, state and local levels are adding tens of thousands of workers to the jobless rolls every month. In its scale, estimated at $450 billion, the “American Jobs Act” represents little more in dollar terms than half of the stimulus package proposed by Obama and enacted by Congress two years ago. That package itself was dwarfed by the scale of the crisis and had only a marginal and temporary impact in terms of limiting the growth in unemployment, while doing little to reduce the overall jobless rate or the number of long-term unemployed, which now stands higher than at any time since the 1930s. While Obama presented no breakdown of the overall cost of the proposed act, the plan reportedly calls for just $100 billion for infrastructure projects, such as repairing highways and bridges. This is 50 percent less than what Congress appropriated to fund the ongoing US wars in Iraq and Afghanistan for fiscal 2011. Such are the real priorities of American capitalism. Even it were approved, the infrastructure proposal, which has been supported by Republican Congressional leaders, would amount to little more than a boondoggle to corporate interests, geared to funneling money to private companies. The measure has also been backed by the US Chamber of Commerce, the main business lobbying group. Among the Republican policies promoted by Obama was a program known as “Georgia Work$,” which sends unemployed workers to private sector employers to work as unpaid trainees for six weeks, with the state paying the usual benefits plus only a small stipend to cover transportation costs. Georgia officials said they were surprised that the program, which is virtually bankrupt and has enlisted less than 100 people since February, would be touted as a model. Its apparent attraction is that it holds out the prospect of doing away with traditional jobless benefits and forcing the unemployed to work without pay. The bulk of the “American Job Act’s” funding would go to pay for tax breaks and another extension of unemployment benefits, neither of which will produce any appreciable reduction in the number of unemployed. At the center of the proposal is the conception that only the private sector can create jobs, and that the government can prod it along with the offer of tax incentives. The reality, however, is that corporate America is sitting on a cash hoard amounting to trillions of dollars, fed by record profits and government bailouts, and has shown no inclination to utilize these vast resources to provide jobs for the unemployed. A reduction in payroll taxes or tax incentives for hiring veterans or the long-term unemployed will not change this class policy. Moreover, by cutting these taxes, the Obama administration is starving core social programs—Social Security, Medicare and Medicaid—for funds, helping to create a justification for inflicting even more savage budget cuts. 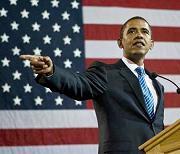 In his speech, Obama pledged money spent on the “American Jobs Act” will be offset by increased cuts in government spending. He specified that this would be done by making “additional spending cuts” including to Medicare and Medicaid, winning a standing ovation from many congressional Republicans. He added that he would propose changes in the tax code affecting “tax breaks and loopholes” for the rich and corporations. The reality, however, is that the super-rich have benefited not merely from a few loopholes, but rather the cutting of the top tax rate in half over the past 15 years. As for the corporations, Obama promised that elimination of loopholes would be accompanied by a lowering of the corporate tax rate, driving profits even higher. Along similar lines, Obama pledged to eliminate “rules and regulations that place an unnecessary burden on businesses,” a policy that he pursued last week with the rejection of a proposal from the Environmental Protection Agency to tighten standards for smog. While the EPA found that the regulation would prevent thousands of premature deaths, the Obama White House overruled it on the basis that it would unduly cut into corporate profits. Three quarters of a century ago, the administration of Franklin D. Roosevelt found the resources to put millions of Americans to work through programs like the Works Progress Administration, that were responsible for nationwide construction and repair of basic infrastructure, from highways to airports to national parks. Driven by tumultuous struggles of the American working class and the fears that example of the 1917 workers’ revolution Russia could be repeated, Roosevelt set about to save capitalism from itself. Today, Obama cannot even hint at creating such a program. The protracted crisis of American capitalism has left the United States a declining power and the most heavily indebted country in the world. Moreover, the American ruling elite is increasingly dominated by a financial oligarchy that has amassed obscene fortunes not through production, but rather Wall Street speculation that crosses over into criminality. This ruling class is prosecuting a savage assault on living standards and basic social rights of the working class, in which mass unemployment is viewed as an indispensable weapon in driving down wages and ripping up fundamental social programs. Obama’s speech and the reactionary content of the “American Jobs Act” demonstrate once again that the beginning of any genuine struggle for jobs is the independent political mobilization of the working class against a social and political system that subordinates economic life to the profits of the dominant banks and corporations and the accumulation of wealth by the top 1 percent. Working people must start from the standpoint that decent employment is an elementary social right, without which no other rights have any real content. To secure this right requires recovering the vast wealth monopolized by the financial and corporate elite and using it to create a massive public works program, ensuring decent jobs for all. To halt mass layoffs and further social cutbacks, the major banks and corporations must be turned into publicly owned enterprises under the democratic control of the working class.